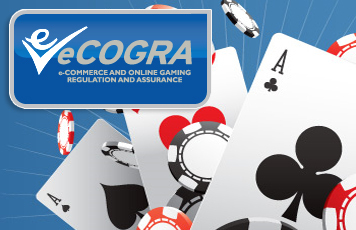 31 May 2005: The important turnkey online poker provider Ongame has successfully completed rigorous acceptance inspections for membership of the international regulator eCommerce and Online Gaming Regulation and Assurance (eCOGRA). The announcement today has significant implications for the first ever self-imposed regulation of the booming online poker industry. Ongame powers PokerNetwork which hosts many poker operators including PokerRoom.com servicing some 4 million and rising online poker players, and the successful accreditation of the software opens the way for these companies to apply for the eCOGRA seal, conditional on meeting the standards required. The Swedish provider now joins a global regulatory framework within which 55 top online casinos powered by leading companies Microgaming and Casino on Net operate, handling well over fifty percent of the online casino gambling market. eCOGRA CEO Andrew Beveridge says the successful Ongame membership is an important milestone for both the poker industry and his organisation. “This is the first application of independent regulations to elements within the online poker industry,” he said “Ongame is a welcome addition to eCOGRA. Our compliance committee were extremely impressed with their professional approach to corporate governance and responsible gaming. From the outset they have put the player first, and an example of this is that they were the first online gaming operation to achieve G4 responsible gaming accreditation,” he said. “For eCOGRA it is the realisation of months of in-depth research and professional advice in framing ground-breaking rules or eGAPs as we call them, for online poker sites,” he continued. “We are confident that other high profile poker networks will submit their sites to our independent inspectors and achieve the eCOGRA seal”. Detailed inspection and ongoing monitoring to ensure continuous compliance with the regulations are key to the success of the initiative, and extensive financial and management probity checks are carried out as part of the acceptance process. Online gambling operations that successfully pass the inspection are identified by the eCOGRA “Play It Safe” seal, awarded by three independent directors on the eCOGRA Board who control the organisation’s operational activities.